Casselberry, FL Free Treatment Centers, Affordable Rehab Centers. 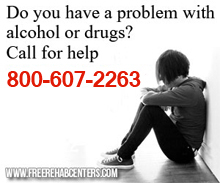 Outpatient and residential treatment services for women with substance use and/or co-occurring disorders. ELIGIBILITY: Adults: 18 and older with a susbtance use disorder. Adolescents: 13 and older with a susbtance use disorder ELIGIBILITY:Women 18 and older with a susbtance use disorder.